Africa is always suffering from severe water shortage. Big cities are better, but small communities suffer from absolute shortage of water—even if they have some, most of them are inadequate for drinking. Water shortage forces people to drink water even though they know it is contaminated, and they suffer from water-born diseases. People in Africa are caught in a vicious circle. 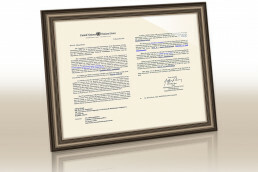 To help our global neighbors living in Africa, the Intl. 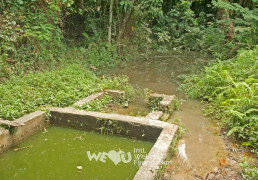 WeLoveU Foundation set up water pumps in Breman Kokoso, a village of Asikuma-Odoben-Brakwa district in the central region of Ghana. In this typical agricultural village, over 300 inhabitants had depended on two pumps in the middle of the village. Because they had to drink water from the same stream where people washed their bodies or clothes, they suffered from various diseases including Guinea worm. Doctors advised them not to drink the water from the stream, but even if they wanted to get underground water, they had to wait in long lines because they didn’t have good water supply system, and the inhabitants living in the outskirts of the village gave up drawing the underground water and drank from the stream as usual. Last autumn, the IWF recognized the desperate situation of Breman Kokoso inhabitants and started to investigate the actual conditions to help them. The IWF funded the whole project—extracting underground water and setting up additional pumps—and the inhabitants joined the project in one mind. 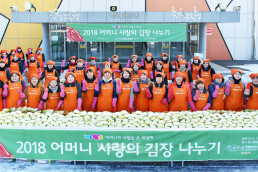 At the beginning of December, they started to search for water vein, and drilled holes for two months, and set up two new pumps and held a donation ceremony on February 11, 2009. The donation ceremony was very exciting like a village festival and it was broadcast through local TV broadcasting stations and newspapers such as GTV, TV3, TV Africa and Daily Graphic. As water gushed out from the new pumps, all the villagers including children shouted, “We Love U,” for joy and gave thanks to the foundation. The villagers, who came to drink clean water, were filled with emotion. Oduro Finn, a villager, sampled the underground water and said, “The quality of water is very good. 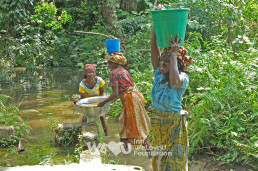 I truly give thanks to the WeLoveU Foundation for helping us escape from the threat of disease like Guinea worm disease by providing us with clean water. You did great job for our village. Children used to be late for schools because they had to draw water, but now they can go to school early to study.” He expressed his gratitude and pleasure. 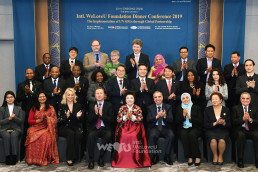 Ha Jae-wan, Ghana Branch Manager of the IWF, complemented the villagers for their hospitality and communal spirit, which he said ensured the early completion of the project. He also wished the inhabitants to drink clean water and live healthy. The foundation also presented notebooks and biscuits to the students of the two elementary schools in the village at the same ceremony. 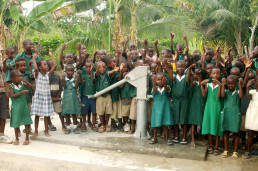 The “Movement to Provide the Water of Life” started from the 10th New Life Family Walkathon in May 2008, and has continued in other African countries like DR Congo and Kenya, along with Ghana. The Intl. 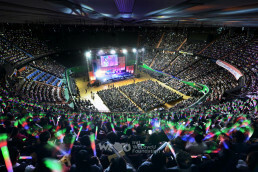 WeLoveU Foundation will keep trying to deliver love and hope to people who suffer from water shortage.